Clothing, Accessories and Toys for kids. BDU's just like the real deal only in kid sizes. 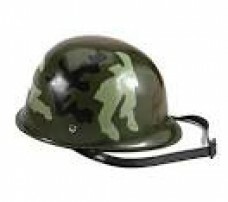 Rothco kids army helmet is great for dress up or Halloween costumes.Plastic Woodland Camo..